What should we buy at Indiana Commissioners sales, and where do we find it? 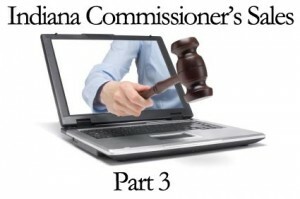 We answered that in Indiana Commissioners sales Part 3 – be sure to take a look at that if you haven’t seen it yet. 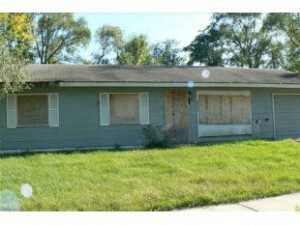 We’re looking for single family homes in at least fair condition, that are currently occupied. We don’t care too much about the neighborhood as long as the subject property itself meets our standards. There are dozens of cities in Indiana where these properties are plentiful on the Indiana Commissioners sale list each year. Now how do we minimize risks, and what do we actually have to DO to make our investment safe? That’s what today’s installment will cover. In most cases you’re going to want to come to town for at least a day or two to investigate the properties on the Indiana Commissioners sales list. However, there are a few strategies that greatly reduce (or can even eliminate) this need. 1. Online Investigation – While you cannot really confirm that a property is “good” from home, you definitely can confirm that a property is “bad” and eliminate it from your list. In fact, 90-95% of the properties on a typical Indiana Commissioners sales list should not be purchased. This is because they have no practical use, are in terrible condition, or are otherwise worthless. Unless you have a well thought-out strategy involving land, eliminate it right at the beginning – especially in the areas we’re looking for houses. A notable exception is land with a billboard, cell tower, or other similar improvement – but these can be hard to detect and confirm. No need to do any more research on a property like this - move on. Try to find a county website that has assessed values, square footages, and/or actual pictures of the properties. You should be able to eliminate a lot of properties that are obviously unsuitable. 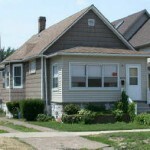 Look for houses that are too small (less than 750 square feet), assessed for very little, or such bad condition you can see it in the photograph. 2. Send Postcards – You can reduce the size of your “short list” further by sending an inexpensive postcard to each property left on your Indiana Commissioners sales list before coming to town. You can either put a “we buy houses” message on the postcard (see my post, “Tax Lien Auctions: How to Get 500% More Properties”) or you can even send a blank postcard. All you’re trying to do is see if the postcard comes back undeliverable, and if so, you should consider eliminating that property from consideration. 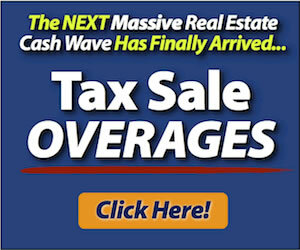 Notice that our strategy is completely opposite from regular tax lien sales when we work Indiana Commissioners sales. We want OCCUPIED properties with the commissioners sale because it makes property condition more likely to be good, which is our main unknown. We are not so concerned with the chances of the property redeeming, because the owner would probably have to pay more than the property’s value at this point to redeem. Contrast this with regular tax lien sales, where there are plenty of good properties but almost 100% of them redeem. There our biggest issue is that the redemption rate is so high, and the property condition is less a problem. So there, we look for VACANT properties because that increases the chance the owner won’t get notices about the tax sale and won’t redeem. We purchased the lien on this home for $3093 - and immediately had Section 8 start sending us the checks once we acquired it. One last thing to check for the remaining properties, is that the actual parcel number listed in the Indiana Commissioners sale list contains the house you want to acquire. See if the county has GIS online, and if so, check each parcel number to make sure the house actually sits on the parcel. Don’t buy any liens on parcels that only contain part of a house. At this point, it makes sense to take the 1-2% of parcels remaining and a GPS unit, and go drive by each property. Remember, you’re looking for occupied properties in an nice of shape as possible. There is another way to approach these sales, especially if you live out of state. You will still perform the preliminary step of eliminating land and other obviously unsuitable properties. You should even send postcards as mentioned above so you can get down to a good “hot list”. However you will not necessarily have to spend a lot of time examining properties in person or traveling around if you want to participate in several online sales. We’ll cover that in the final installment of Indiana Commissioners sales – Part 4. We’ll also discuss why RIGHT NOW is the perfect time to get involved in Indiana Commissioners sales. Texas holds a redeemable deed sale – you get a deed to the property, and possession, but the owner can pay you off within 6 months or within 2 years depending on the property type. If they pay you off you get 25% interest per 6 months! Because of the high interest added to the entire bid, most properties do not redeem. So make sure not to pay too much for the property, hoping to get a 25% return. 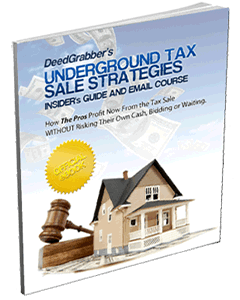 If you’re going to try to buy from the owner of the property, do so BEFORE the tax deed sale, not during the redemption period. It will be tough to make a profit on the property after paying that high interest to the buyer. Hello Rick, thank you so much for your course. I already did a transaction here in NJ. I followed your system and received a call from a property owner that had a 7 acres piece of land with 3 liens totaling $35k and $40k in personal judgements paid him $10k however the property is worth $225k Great Deal! Now my question, this property had 3 lien of which 2 of them were over 2 years old and I wondered why the lien holders never foreclose on this property. I want to know could i have purchase the liens form the first owner on an assignment and foreclosure on the property instead of paying the judgements? How is this done? What is the process? Can you guide me? Many lien buyers want to earn the healthy interest that the tax liens provide each year, and they know if they foreclose that 97% of the time they will get a redemption right away. So there goes their interest, and they have to go find another good lien to buy. So since they know the property is worth $225k, they figure, why not let that 18% interest add up as long as possible. I think they HAVE to foreclose within 7 years or something like that. So they will eventually. Assignments of tax lien is pretty common. Find out who the senior tax lien holder is on the property and get a hold of them. Offer to buy it. You will have to probably give them a premium (more than what’s owed) or it won’t be worth their while. You will probably have to pay off the secondary lien when you foreclose it so you’ll need some cash. The biggest thing is seeing what it will take for the first lienholder to assign it to you. The mechanics are pretty simple after that. Even if you have to pay them $5k to assign it and $5k to foreclose you’re way ahead vs. paying off the judgments. Just make sure your assessment of market value is correct.